One of the most prominent Indian political leaders, Gulzarilal Nanda held important role for India in the aftermath of demise of existing prime ministers. Gulzarilal is best known for the stint of interim prime minister role that he took upon twice in his career at crucial times. Although his period of staying as a prime minister was pretty less, 13 days for each time, he is still widely known for his contribution in shaping the Indian politics. In 1964, when the then prime minister of India Jawahar Lal Nehru died, Gulzarilal took the helm and lead the nation as interim prime minister even though it was only for 13 days at the time. India was on war with China at that time, and badly needed a leader when Jawaharlal Nehru passed away. After that Lal Bahadur Shastri was appointed the Prime Minister and as such Gulzarilal stepped down from his interim position. He again held the position of interim prime minister in 1966 when Lal Bahadur Shastri died. Again, at the time it was a very crucial period for India as there was war going between India and Pakistan, the war of 1965. He is also a Bharat Ratna award winner and was awarded Bharat Ratna in 1997. Gulzarilal Nanda was born on 4th July 1898 in Sialkot, the then Punjab Province under the rule of British India. He was born into a Punjabi Hindu family and he belonged to Khatri caste. The area later changed into Punjab province of India when after the partition of India, India and Pakistan was created. He completed his education from Lahore, Amritsar, Agra and Allahabad. Gulzarilal Nanda later on married in his life with Lakshmi. From that marriage they had three children, two of them being sons and one daughter. He lived his life with minimal fuss and stayed humble all throughout. He even spent life on meagre way. Gulzarilal Nanda after having completed his education, started his career as a research scholar on the topic of Labour problems at the Allahabad University from 1920 to 1921. He was later appointed as the Professor of Economics in a National College at Bombay. He was also actively involved in the freedom movement going all over the India against the British Raj. He was quite a avid follower of Mahatma Gandhi and supported his views. He later went on to serve as the secretary of Ahmedabad Textile Labour Association from 1922 to 1946. Also in 1937 he was elected in the Bombay Legislative Assembly and he also got to serve as the Parliament Secretary for Labor and Excise for the then Government of Bombay from 1937 to 1939 for 2 years. He was tasked with advancing the works and progress of the Bombay city. Gulzarilal Nanda later acted as the Labour Minister for the Government of Bombay from a period of 1946 to 1950. His regime as the Labour minister is seen very fruitful and is regarded well since he launched several good projects and formed many important tasks at the time. He directed the Labour Disputes Bill in the assembly of Bombay. He later went on to become an important member in various important organisations like Trustee of Kasturba Memorial Trust, also held the position of Secretary for Hindustan Majdoor Sevak Sangh also known as Indian Labour Welfare Organisation. His next role also included the Chairmanship of the Bombay Housing Board. He became the member of highly regarded National Planning Committee and played important role in organising the Indian National Trade Union Congress and also later on became the president of the same. Gulzarilal Nanda also acted as a government delegate and went to Geneva for International Labor Conference. He also visited many other nations like France, Sweden, Belgium, Switzerland and UK to study labor and housing conditions of those nations as part of The Freedom of Association Committee of the Conference. It was in 1950 during the month of March, that Gulzarilal Nanda became the Vice-chairman of Indian Planning Commission straightaway from his appointment. Later on in 1951 he was appointed as the Planning Minister for the Government of India. His work domain extended further as he received Irrigation and Power ministry too. Then in the elections of 1952, the general elections of Bombay, he was selected as the Lok Sabha member. He also became the lead of the Indian delegation for the Plan Consultative Committee occurring in Singapore in 1955. He also led the Indian delegation again in 1959 for the International Conference that was held in Geneva. The year 1957 again brought the Lok Sabha elections where he was elected again from Bombay and later on was awarded the Union Minister of Labour, Employment and Planning. He was also given the Deputy Chairman of the Planning Commission. As part of the Indian delegation, he went to Austria, Federal Republic of Germany and Yugoslavia in 1959. Again, the Lok Sabha elections were held in 1962 and this time, Gulzarilal Nanda stood from Sabarkantha constituency of Gujarat. He won the seat and was elected as the Lok Sabha member. He also started the Congress Forum for the Socialist Action in 1962. 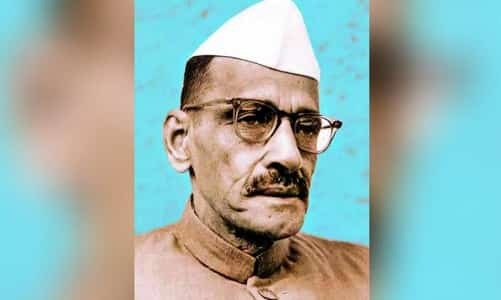 After being appointed as the Lok Sabha member, he was given the Union Minister for Labour and Employment during 1962-1963 and also became the Minister for Home Affairs in the year 1963. He was first inducted in the ministry as the Home Minister by the then prime minister Jawaharlal Nehru in his cabinet during 1963. He held the ministry of Home Affairs till the year 1966 even after the death of Jawaharlal Nehru under the prime ministership of Lal Bahadur Shastri and later under Indira Gandhi. He went on to resign from the post of Home Minister in 1966 as a protest against firing on Hindu saints. Gulzarilal Nanda had actually been in negotiations with those Hindu saints and was about to reach agreement with them but as the firing happened, he resigned in protest. He was later again re-elected in the Lok Sabha in 1967 and again in 1971 elections from the area of Kaithal of Haryana. He also became the Union Minister for Railways from 1970 to 1971. Gulzarilal was acting as the Home Minister after he was inducted into the cabinet by the then Prime Minister Jawaharlal Nehru in 1963. Jawaharlal Nehru died on 1964 and Gulzarilal Nanda stepped up as the Prime Minister of India. Although he held the position for only 13 days at the time, his time was crucial as India has been in war with China in 1962 and the nation was going through a phase and then the death of Jawaharlal Nehru meant a big shock. At that time, Nanda calmed the things down and then Lal Bahadur Shastri was appointed the Prime Minister then. Again in 1966, the then prime minister Lal Bahadur Shastri died and the nation was in void of prime minister. Again at that time, Gulzarilal Nanda was helming the Home Ministry and he took over the role of Interim Prime Minister in 1966. His second tenure as Interim Prime Minister again lasted only 13 days and after that Indira Gandhi was appointed the prime minister of India. During the time of death of Lal Bahadur Shastri, India had just been on a war with Pakistan in 1965 and again was in a transitional phase. Gulzarilal Nanda as he did is past, again steadied the ship for a time before the new leader took over. There’s not much contribution or eventfulness of his two tenures as the Interim Prime Minister of India, but regarding the situation, where there had been deaths of the existing prime minister and then with the wars on the head, his interim time came at a sensitive scene in the Indian history. Gulzarilal Nanda died on 15th January 1998 when he was at the age of 99 in Ahmedabad, Gujarat, India. He was at one time the world’s oldest surviving former head of state when the former Malawi President Hastings Banda died on 25th November 1997. Gulzarilal Nanda is a recipient of Bharat Ratna, the highest civilian award of India in 1997. He later demised on 1998. He was active participator of Mahatma Gandhi’s campaign against British Raj and even took part in Satyagraha. He was later jailed twice once in 1932 and once in 1942. His second time in jail in 1942 resulted him in being inside for 2 years and he was later freed in 1944. He was an economist and politician and specialized in labour issues with prominent roles held in Labour domain throughout his life. He was also honoured with the ‘Proud Past Alumni’ which has a list of 42 members from Allahabad University Alumni Association. He was a deeply religious person and voiced for the lobbying of Hindu law of Cow-protection. Next Post Who Will be the Next Prime Minister of India 2019?